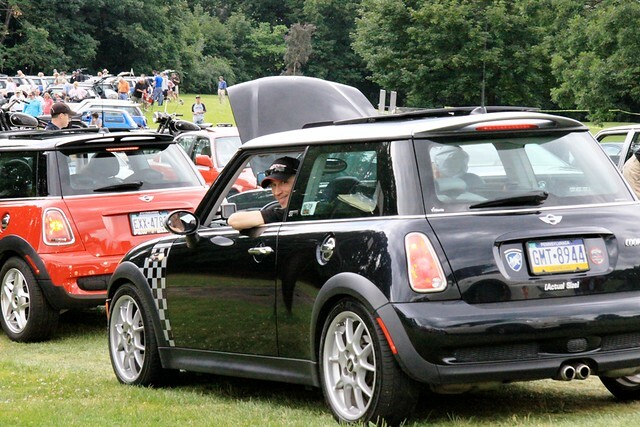 Mini owners have always been great supporters of the Grand Prix Car Show and are well represented on the track – the perfect cars to race through Schenley Park! Mini was the Pittsburgh Vintage Grand Prix’s Marque of the Year in 2014 and they put on a tremendous show! Their efforts raised over $50,000 for our charities. More than 250 owners showed up to honor the marque with parties, shows and parades. The MINI Pitt Stop Club is no longer active but we still anticipate that MINI owners will continue to participate in large numbers. The Mini Car Show will go on and MINI of Pittsburgh will continue to support the show at Schenley Park with a hospitality tent. Gates open at 9:30 AM and Car Shows run from 11:00 AM until 5:00 PM on the weekend. Cost to participate in the International Car Show is just $40 and includes your weekend car display spot, a PVGP race program and car decal. On-line registration closes at 11:30 PM on Thursday July 18, after which participants must pay at the gate in Schenley Park upon entry and the price increases to $50. We strongly encourage you to pre-register here now to assure you get a spot in the car show and to speed up the entry process. This is a charity event – refunds and single day discounts are not available. Many thanks to the team at MINI Pittsburgh for their support of our event!